At the American Association for Cancer Research Annual Meeting 2016, researchers reported a significant response for the effects of physical activity on breast cancer recurrence. The catch is that the effect was seen only among the most active tertile: women who exercised ≥20 hours a week. Teresa Lehman, PhD, Chief Technology Officer, BioServe Technologies, Ltd, Beltsville, MD, presented the study of 2435 patients surveyed, and 215 who developed a breast cancer recurrence. “There is reasonable evidence that increased physical activity is associated with a reduced risk of breast cancer, but its role in the recurrence of breast cancer has not been established,” Dr Lehman said. The study was a secondary analysis of data from the Global Epidemiological Study, a multinational biorepository and database to assess cancer and other disease risk factors and biomarkers. Patients provided their personal history, including age, body mass index, and information on diet and physical activity. 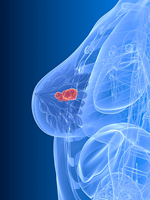 The study examined the association between physical activity and breast cancer recurrence. Although the sample size was “relatively small,” Dr Lehman acknowledged, a significant effect was observed. “On the univariate analysis, physical activity had a significant impact on recurrence, and on the multivariate analysis, after adjusting for age, body mass index, and cancer stage, the effect was even greater,” she said in an interview with The Oncology Nurse-APN/PA. Subjects in the highest tertile of physical activity, who reported brisk walking and other moderate exercise for ≥20 hours a week, were 39% less likely to have a breast cancer recurrence than women reporting no exercise (odds ratio [OR], 0.61; 95% confidence interval [CI], 0.40-0.93); on the multivariate analysis, they were 45% less likely (OR, 0.55; 95% CI, 0.34-0.89). The dose-response relationship was significant (P = .05), Dr Lehman reported. Patients in the second tertile, who exercised 1 to 20 hours a week, actually had no reduction in recurrence risk (OR, 1.13 on the univariate analysis, and 1.24 on the multivariate analysis). In the first tertile, the reference group, women reported no brisk exercise. Dr Lehman acknowledged that 20 hours of exercise is a challenge for most women. “You have to really make an effort to do this,” she said. Source: Lehman TA, Modali RV, Ratnasinghe LD. Recurrent breast cancer risk and physical activity. Abstract 3426.